DrinkWire is Liquor.com’s showcase for the best articles, recipes and reviews from the web’s top writers and bloggers. This post is sponsored by Bacardi. 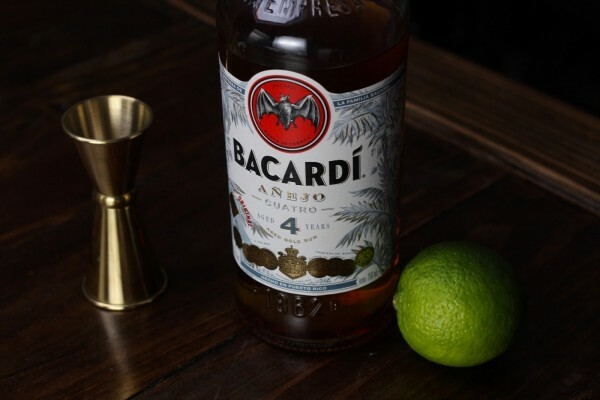 I'm so excited today to share a cocktail made in partnership with Bacardi to celebrate the launch of their brand-new Bacardi Añejo Cuatro! 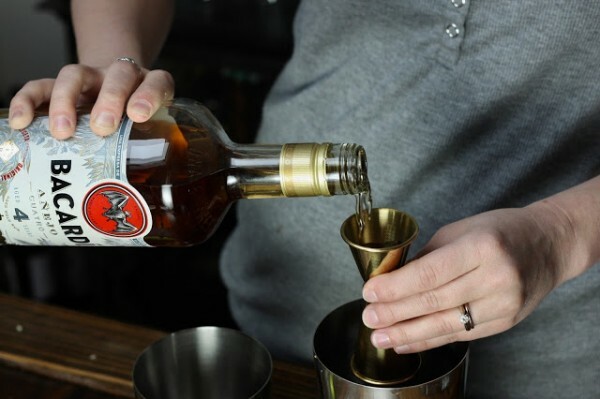 This premium blended rum is aged in American Oak for at least four years. Slightly fruity with flavors of vanilla, honey, and toasted oak, it's an amazing rum for cocktails. In addition to the Anejo Cuatro, I was able to try the re-branded Bacardi Reserva Ocho and the brand new Gran Reserva Diez, which will also be released in April. I have to say a quick word about these as well, because they are fabulous. If you're skeptical that rum can be as enjoyable to sip neat as whiskey, get your hands on one of these bottles. My husband was doubtful when I offered him a glass of rum, and he has since replaced his usual nightcap of Scotch with some Bacardi on the rocks. Sipping the Bacardi Añejo Cuatro makes me think of the streets of San Juan - brightly colored houses beside shady palms and weathered seaside forts overlooking bright blue water. It's a blend of Old World elegance and Caribbean beauty, and that's what I tried to capture in this cocktail. 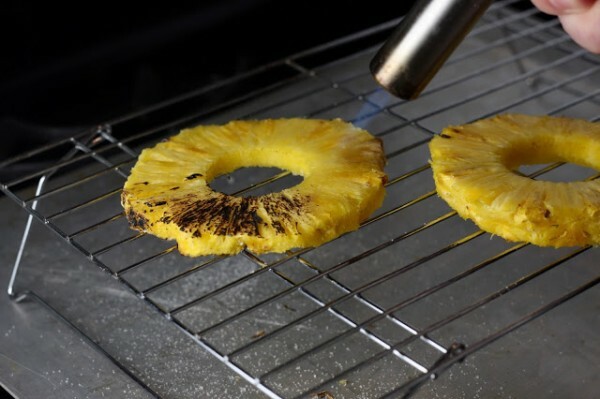 Lime and pineapple juices are always great with rum and bring some bright tropical notes, but to emphasize the flavors of vanilla and oak, I brûléed the pineapple slices before extracting their juice. It's amazing what a bit of heat or fire can do for flavor. Brown butter, toasted spices, caramelized fruits, smoked wood or herbs... a bit of char can take a drink to an entirely different place. I have yet to use my crème brûlée torch to make actual crème brûlée, but you'd better believe it has seen some use on cocktail ingredients. 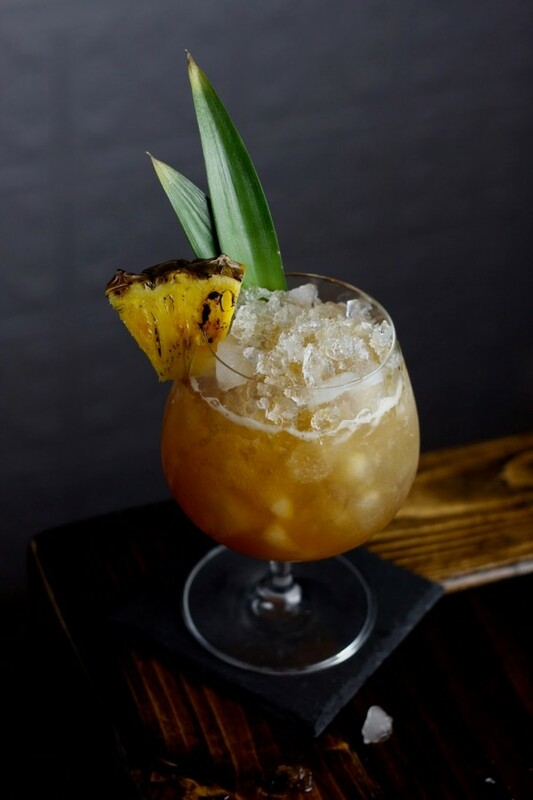 Pineapple actually pairs really well with an IPA, a fact that Death & Co taught me with their Strange Brew and Savage Islands cocktails. IPAs are my favorite beers by far, and I've been meaning to try an IPA syrup in a cocktail for some time. This seemed like the perfect opportunity. Along with some Punt e Mes, the hoppy syrup adds sweetness balanced with bitterness. 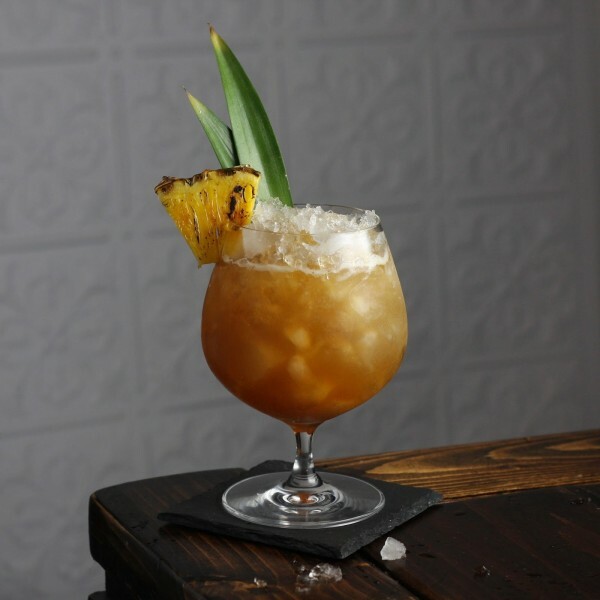 A dash of smoky Scotch adds the finishing touch and helps emphasize the toasted taste of the pineapple. I really like how these flavors play together, and how they all work so well with the Añejo Cuatro. Salud!